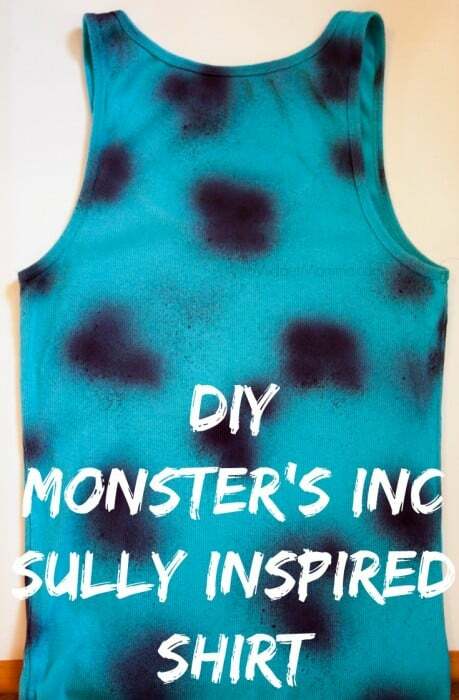 If you want to complete the whole Monster’s Inc crew, check out the DIY Monster’s Inc Boo Costume and DIY Mike Wazowski shirt too! Turn your shirt inside out. Iron on the freezer paper to the shirt to prevent the dye from bleeding though. Turn the shirt back right side out. Place the shirt on the hanger. 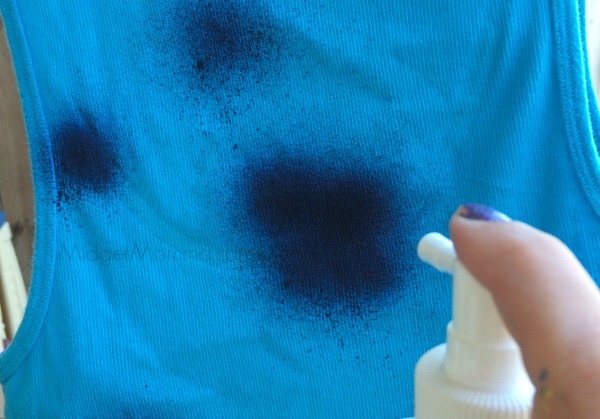 Holding the spray bottle about three inches away spray the shirt in random spots to create Sully’s spots. Try to overlap some of the spots to create larger spots. You can chose to leave a part of the belly without spots like sully has our you can fill the whole shirt it. Let the shirt dry completely before removing the freezer paper.